A US newspaper revealed an Iraqi rejection of a Saudi proposal to establish a new organization to manage oil. The Wall Street Journal said Russia and Iraq had rejected a proposal to create a new alternative oil organization for OPEC. According to the report issued on Tuesday evening, the proposal of the new Petroleum Organization submitted by Riyadh to Russian Energy Minister Alexander Novak in December, but was rejected. According to the US Financial Times, OPEC officials said Novak that such a decision is outside his powers and that he will turn him to the Russian Foreign Minister and to the Office of the Presidency in the Kremlin. The proposal calls for transforming the current "loose cooperation" between OPEC and Russia into a "oil union" between two blocs, one led by Russia and the other by OPEC, which is dominated by Riyadh. According to RT television reported on December 29, Russian Minister Novak said about the Saudi proposal "there will be no new oil organization," adding that it would risk creating more monopoly and bureaucracy and making decisions. Riyadh, which has been criticized by US President Donald Trump over the past year for rising oil prices, seeks to protect Russia from American anger and blame Moscow for rising prices. Moscow, on the other hand, is aware that the Saudi decision will remain close to Washington, so it will not win Riyadh, but wants to exploit it to achieve the Russian energy strategy by dominating the decision and directions of "OPEC", without the existence of legal obligations on its part, because Moscow avoids engaging in a conflict with the United States. The proposed consortium, or so-called "new OPEC", will be built from two groups, the OPEC member group, and the group of Russian-led countries that include ex-Soviet oil exporters and other countries under Moscow's cloak. Namely the 10 countries that cooperated with the Petroleum Organization in reducing production and allowing prices to rise after the painful collapse cycle. According to Wall Street, Iran and other members of the group also rejected the proposal because of concerns over Moscow's and Riyadh's dominance of oil policy. The proposed oil consortium seeks to restore Riyadh's ability to steer oil prices amid rising US rock oil production, which in recent years has become the "weighted product" that determines oil market trends and prices. And the role of "weighted product", previously played by Riyadh and setting the price target for a barrel of oil. This new proposal is a relaxation of an earlier plan put forward by Saudi Arabia and the United Arab Emirates to create a "completely new oil organization", of which Russia becomes a member, which has been floated by the Saudi government. In June, Saudi Crown Prince Mohammed bin Salman, through Oil Minister Khalid al-Faleh, proposed a plan to create a completely new oil organization with new members. According to the Wall Street Journal attributed to OPEC officials. However, the proposal put forward in Vienna raised the concern of some Member States, particularly Iran, Iraq, Nigeria, Angola and Algeria. The former Iraqi oil minister Thamer Ghadhban has been outspoken criticism of the plan, where Faleh said at a meeting in Vienna that "OPEC was established in Baghdad" (in reference to the role of Iraq to establish). Riyadh, which faces a range of oil crises and still relies more than 80 percent on oil in budget revenues, seeks to raise oil prices and fight rock oil without bringing American anger to it. The only way is to try to persuade Moscow to play this role. The danger. But Moscow, which has already suffered from dumping Saudi Arabia into oil markets and putting it in a political crisis that ended with the disintegration of the Soviet Union, is not prepared to play this role. According to the report, Riyadh will go to put the plan again at the meeting in Vienna on February 18. Riyadh has put its budget at $ 84 a barrel at a time when prices are around $ 60 a barrel. Riyadh, which accounts for more than 80 percent of its income, suffers from a huge deficit that will have to be heavily leveraged this year amid harsh conditions and conditions that will not be comfortable for it and its major companies such as Aramco and its sisters. 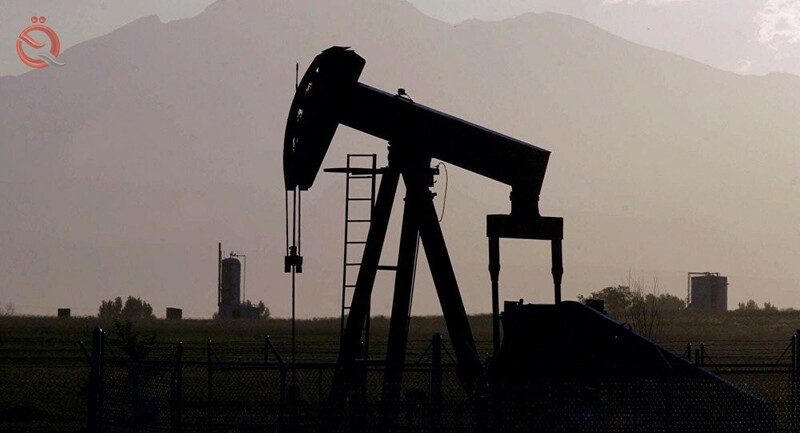 Oil fell 1 percent on Wednesday after the US crude inventories report showed signs of concern over the impact of US sanctions on Venezuela on global supply. Concerns about weak global economic growth and the China-US trade dispute continue to weigh on the morale of major oil traders. Oil fell on Tuesday after a survey showed business growth in the euro area almost stopped in January. London Brent crude fell 62 cents to $ 61.36 a barrel, after rising 15 percent in January. US crude fell 48 cents to $ 53.18.